Stephanie's Stampin Spot! : Hill? What Hill? Just a quickie today, sending some "Stella" cards to my sister and this is one of them, this is for this weeks Catch-The-Bug challenge to use sewing on your card. Very pretty colors together and love the pattern choices. I still continue with my sewing thanks to seeing your blog. I've had people ask me about sewing. i write them and tell them about your site. 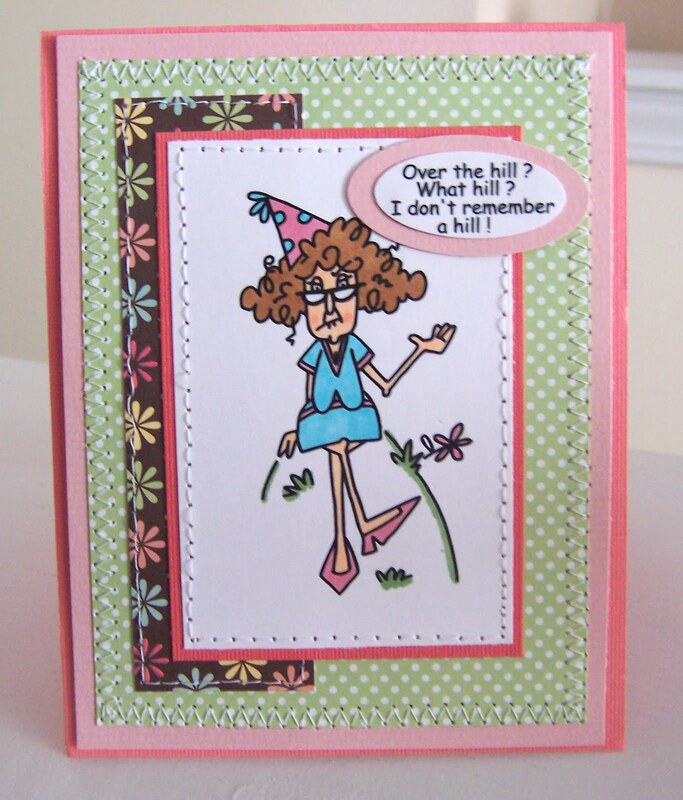 I love Stella--and your card is perfect! Thanks for playing along with the Bugaboo challenge. I love this Stella image! And it's so true, too. The colors and papers you used are just beautiful. I am in awe of your stitching. It's perfect for your card. Anyone would LOVE to get this card. Thanks so much for joining in with the Catch the Bug Challenge at Bugaboo stamps. I hope you'll join us again next time. There's a hill?!?!? ;) Sweet stiching, Stephanie! 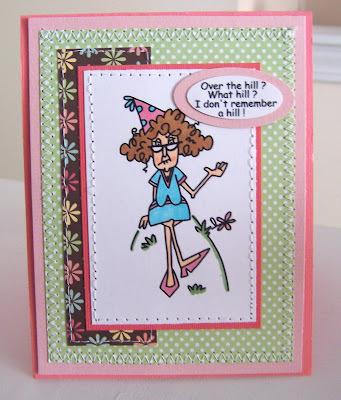 Thanks so much for participating in Catch the Bug's A Stitch in Time challenge with Bugaboo Stamps! :D MWAH! This is so cute! I love the paper and the way you colored in Stella! Great card! Thank you for playing along in the Catch the Bug Challenge! So cute! I love the DP used on this! Thanks for playing in the Bugaboo Challenge!